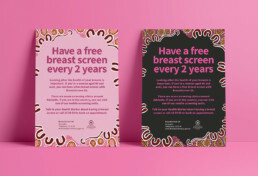 BreastScreen SA provides more than 90,000 free screening mammograms each year to South Australian women primarily aged 50 to 74, with the aim of diagnosing breast cancer at an early stage, before it can be felt. 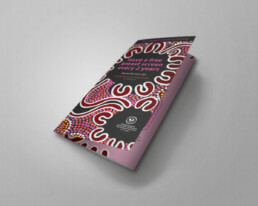 Dreamtime designed a new suite of promotional material aimed at increasing the number of Indigenous women getting regular mammograms. 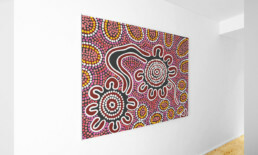 As part of this work, an Indigenous artwork was commissioned to represent the cycle of women getting yearly mammograms and demonstrated the small percentage of cases where more test are needed. 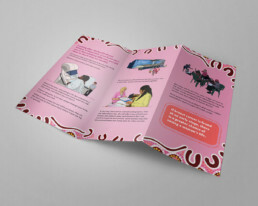 A range of posters and brochures were then created.